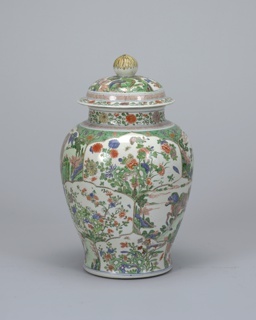 See more objects with the tag pattern, dots, vases, intricate, white porcelain, asia, porcelain, memory. This is a Vessel with Cover XL. It was designed by Hans Tan. It is dated 2015 and we acquired it in 2016. 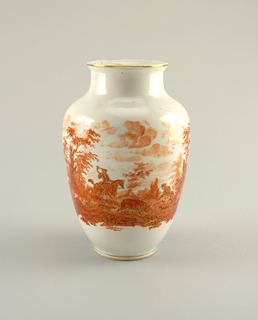 Its medium is sandblasted porcelain. It is a part of the Product Design and Decorative Arts department. 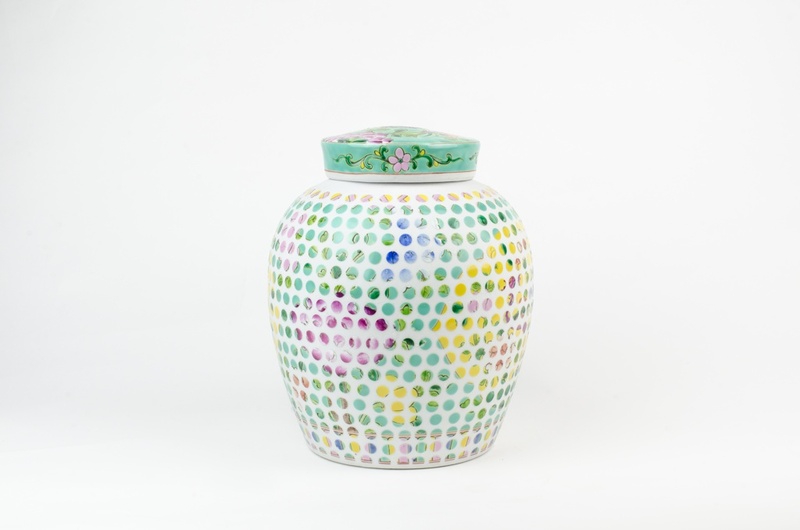 For the Spotted Nyonya series (2011-ongoing), designer Hans Tan uses a batik-inspired technique on traditional Nyonya porcelain vessels to transform the surface into a synthesis of new and old ornament. The series began as a commission from the Economic Development Board of Singapore to produce a set of gifts. Tan chose to work with existing Nyonya porcelain vessels because they resonate with Singaporeans as part of the visual and material culture. The Nyonya vessels are traditional domestic wares of the Chinese Peranakans, a mixed-race community native to Southeast Asia, and are ornamented in polychrome colors—fuchsia pink, bright yellow, turquoise green, cobalt blue—often with a lotus flower or phoenix motif. 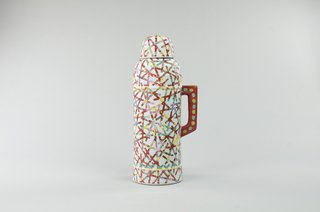 Tan adheres a dotted geometric pattern in silicone to the surface of each vessel and sandblasts away the existing decoration. The protected glossy decoration is preserved, while the matte white porcelain beneath is revealed for a contrast of colors and texture. 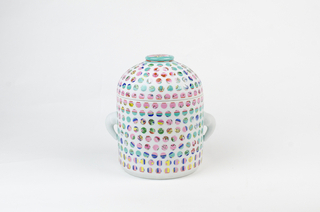 In the covered vessel sought for Cooper Hewitt’s collection, the original lid remains untreated, emphasizing the contrast between the traditional decoration with the modern, graphic surface treatment of the vessel. 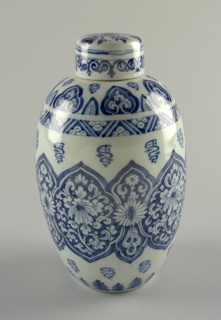 This object was donated by Hans Tan. It is credited Gift of Hans Tan. Gift of Mr. and Mrs. Arthur Wiesenberger. Gift of Mrs. Howard J. Sachs in memory of Mr. Howard J. Sachs. 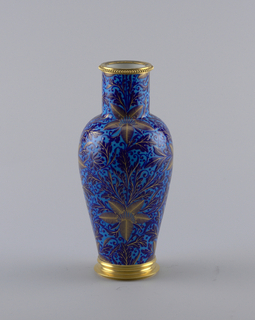 enameled porcelain with ormolu mounts. Bequest of Walter Phelps Warren. This object was previously on display as a part of the exhibition	Beauty—Cooper Hewitt Design Triennial.